Valerie Carpenter is the founding director of The Vestibule Center for Sound Healing and cofounder of the Bay Area Sound Healing Alliance. 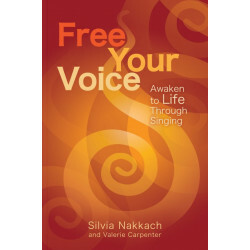 She is a Sound Healing practitioner with certifications from the California Institute of Integral Studies, the Kairos Institute of Sound Healing, Integrated Listening Systems, and the Vox Mundi School of the Voice. Valerie has also enjoyed a distinguished career as a professional writer and actress.